Well the girls went out on another on farm trek today, this time with some children. I was to take 2 adults and 3 children out for an on farm trek this morning and thought it would be good practice for Lolllipop and Nikki to come out again as they were so well mannered the last time they went out and were coming along so nicely with their training. We were accompanied by good old Nappa, one of our older gelded trekking boys to lead to way and show the girls how its done. 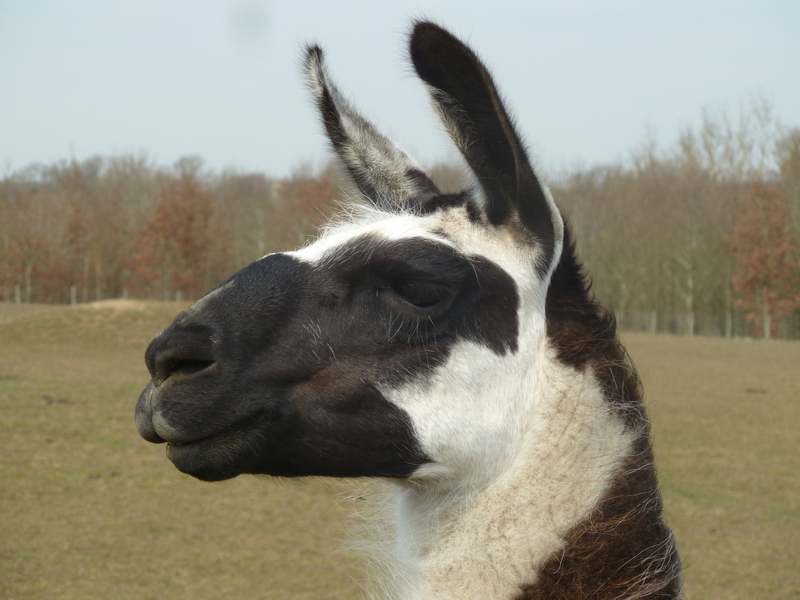 The first 10 minutes of a trek are always the most strange for our customers and our llamas, as everyone that comes to trek with us probably has not ever met our llamas before and our llamas haven’t met them so there is lots of getting to know each other to be done. At the beginning of our trek Lollipop was starting to act a little bit nervous and jumpy, which was upsetting her buddy, Nikki. So I decided to take Lollipop and let one of the children take Nikki. Nikki soon after become a lovely trekking companion for one young girl and lead beautifully the whole way round. Lollipop on the other hand was acting slightly strange and wanted to be at the back of the trek constantly. After a few more minutes of this I soon realised she was very nervous around our smaller trekkers, the younger children. She almost looked at them as if they were from another planet and couldn’t work out why they were smaller than her! After a lot of hiding behind me from the children she did calm down and allow them to touch her but she will need a little more training on this before she goes out again, I will keep you updated on Lollipops ‘little people phobia’.